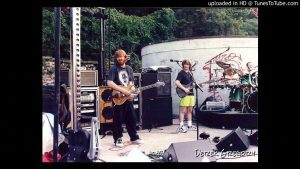 Episode 55 brings you into the world of Phish Soundcheck karaoke limbo. This soundcheck is an all time moment. Crazy songs, and full audience karaoke with a full on limbo contest going down. “Samson Variation>Olivia’s Pool, Beauty of My Dreams, You Shook Me All Night Long, MMMBop, Another One Bites the Dust, And It Stone Me, Only Shallow, The Banana Boat Song (Day-O)”. Get ready for a wild time.